AT&T played no role in blocking Google Voice? Is Apple being evil? Phone giant AT&T (T) stated today that it played "no role" in the rejection of the Google Voice application from Apple's (AAPL) iPhone Application Store, according to tech blog Engadget. This statement came from a letter to the FCC from company SVP S James Cicconi. This can only mean one thing. Either AT&T is lying or Apple was the culprit in blocking Google Voice. If Apple is at fault, this casts the whole brouhaha in a new and more sinister light. The iPhone is becoming the dominant smartphone in terms of Internet usage. 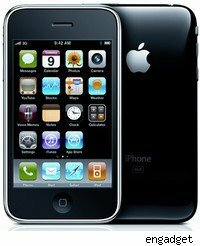 iPhone users are far more likely to download applications and to surf the Web from their handsets than are owners of other smartphones, including Blackberries. But this has made Apple a target for the FCC and the wrath of the blogosphere as the question of control of the smartphone cuts to the quick of the questions over who will control the mobile Internet. If Apple is to blame for blocking Google Voice, which seems odd considering that SVP of Worldwide Sales and Marketing Phillip Schiller himself lobbied for the app, according to some reports, then the decision must have come down from Steve Jobs himself. And it could mean one of several things. Second, Apple might have worried that the app would cause even more problems on AT&T's snarled mobile data networks. VoIP apps don't take up nearly the same footprint as video or audio streaming apps. Sending voice requires far less bandwidth. So I'm not sure this argument makes as much sense. Third, Apple could be simply unwilling to help Google because it views it as a close competitor in the mobile space. Which is true. Google's Android is likely to be the third or fourth big competitor for the mobile market behind Apple and Blackberry (RIMM) (true, Google (GOOG) doesn't make devices but its OS is looking very strong. And by pure standards of anti-trust, its hard to argue with Apple. While the iPhone is popular, its still a not a dominant force in the smartphone market. That said, this comes back to the battle over whether a customer will own a smartphone or essentially lease it from Apple, which maintains control over the device to a greater or lesser degree. At present, its looking like the latter.